A senior teaching associate at the University of New Brunswick is being saluted for her commitment to improving the classroom. 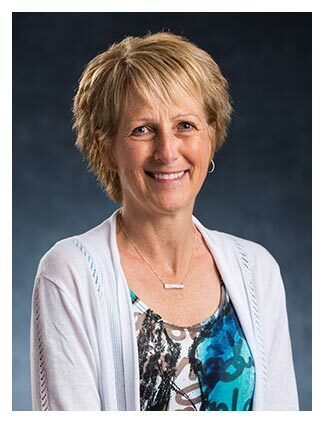 Nancy Doiron-Maillet, a senior teaching associate with UNB’s faculty of nursing, has received the Neil Scott Educational Leadership Award, which recognizes leaders who encourage excellence in teaching. An individual nominated for the award will have provided leadership among faculty colleagues to help create an environment in which teaching excellence is fostered and appreciated. Ms. Doiron-Maillet, a registered nurse, has been teaching nursing for 27 years in both the clinical and classroom setting. To her, sharing the passion for nursing with students and helping them gain knowledge and confidence in their field is fulfilling and rewarding. She values the uniqueness and determination within each student. Ms. Doiron-Maillet also emphasizes the importance of developing the inner desire to reach beyond minimal competence and strive for excellence in her classroom. “Ultimately, as an effective educator, I strive to inspire students to continue to learn, to be confident, to be resourceful when they do not have the answer, to be curious and to be mindful of the privilege that nurses have as they enter the lives of people, often at their most vulnerable time,” says Ms. Doiron-Maillet. In that role, Ms. Doiron-Maillet works to regularly interact with her colleagues through email, monthly newsletters and face-to-face sessions about the importance of aiming for, and developing, strategies to support excellence as UNB teachers. This year, she was part of the UNB Teaching Resources Network, a pilot project to create a network where instructors can share resources and information about effective teaching and learning.